It shouldn't come as any surprise that audio/video equipment needs a little TLC in order to perform best. Happily, the TLC required costs very little in time, and next to nothing in dollars. As in most improvements in the A/V chain, start at the source and work your way down. Assuming there are no week links in the chain, an improved signal at the front, means a more accurate signal at the end. This is typically the hierarchy for any recording or playback system. With this in mind, we'll outline a full electrical maintenance practice for routine use. By routine use, I mean once every six months for climate controlled environments. However, in environments which may be exposed to ocean air, high dust content, extreme temperatures and/or humidity, you'll want to schedule this more often, say at least every three months, or after a conditional event. If you have not done anything like this before, you will be pleasantly surprised at the audible improvements in dynamic response, resolution, speed and authority, soundstage size, image dimensions, reduced noise, etc. As always, what is presented here is to help the end user to optimally experience what the artists intended by delivering the most undistorted signal possible. Note: The following procedures should be performed with the power off and dissipated. AC. 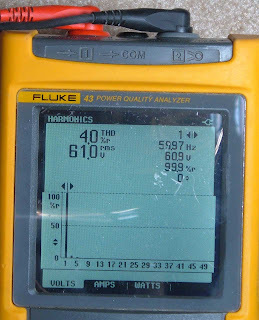 People generally think of power sources as simply a 50 or 60Hz. signal feed for component power supply capacitors. What they don't realize is that as the capacitors used to record or playback musical events must be replenished in a nonlinear fashion due to the transient characteristics of music. 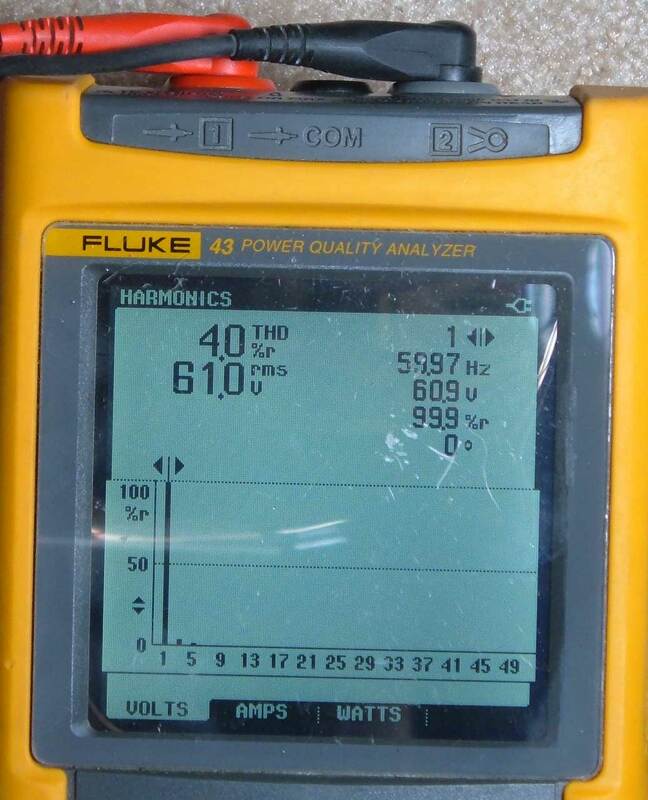 This may mean pulling bursts of current off the highest and lowest peaks of the 50 or 60Hz. sinewave, within milliseconds. During this process full wave bridge rectifiers and digital switching supplies can introduce significant noise to the line up to the 50th harmonic. Ideally, the power supply must be unrestricted if it is to deliver continuous and instantaneous current to the electronics. However, there are plenty interfaces in the path between components which impede, restrict and slow down the current's transfer flow. When this happens, loss in dynamic response, resolution and cleanliness of the sound occur. *Clean any visible corrosion or carbon deposits seen on the grounding rod junction, buss bars, breakers (replace if old or has tripped several times), or outlets. **Gas tighten all connections to the grounding rod junction, buss bars, breakers and outlets. Power Cords. *Clean and tighten both male and female terminations, as well as the receptacles in the chassis of the electronic equipment itself (with power dissipated). Faders, knobs and switches should be turned back and forth weekly to wipe away oxidation and sulfide build up. Use a contact cleaner when needed. *Clean all electrical contact surfaces (pins and/or receptacles) of component interconnects. Note on unbalanced interconnects like RCA and phone plugs, twist the connector to the right when disconnecting and reconnecting. Note on speaker cable connections: A spade termination connected to a binding post will offer the most contact surface area. It will also allow you to make a tight, if not gas-tight, connection. If you have any type of connection that allows you to "screw it down", tighten it as far as you can using just your fingers, and then use a wrench or pliers to cinch it down another quarter turn (careful not to break cheap connectors!). Tighten all driver units by cinching down until seated. Do so incrementally and in a star pattern so that it may seat concentrically. Do not over-tighten. In summary, good signal integrity means flowing unimpeded throughout the chain. The three ingredients for this recipe are; quality materials, large, smooth, clean contact surface areas, and tight connections. Even in controlled climate environments, connections settle, are moved, are vibrated and resonate, which can cause breaks in the connections allowing air contaminants and oxidation to occur, and restrict current flow, resulting in signal losses, alterations and noise introductions to the original signal. Taking the preventative measures described above will help you achieve better performance from your A/V system, and a more accurate, more enjoyable experience. * Cleaning refers to wiping the contact surfaces with Lanolin-free isopropal alcohol, or a solvent such as Caig Lab's DeoxIT or Cramolin Contaclean, and/or physically scrubbing or abrading the contact surfaces of impurities. As soon as the surface is confirmed free of contaminants and debris, make a swift connection to avoid possible re-contamination. Light duty (gold plated contacts) applicators may include lint-free cotton cloths and swabs. Medium duty (visible coloration, etc.) may include pipe cleaners and nylon or stainless steel brushes. Heavy duty (high current) may include 100 grit sand paper or heavy steel brush. **Gas tight in this context refers to malleable metals being compressed to the point of deformation to create an intermetallic bond. It also means that all oxides and other surface contaminants are absent at the connection point, and that no air molecules can penetrate the seal.